If you read my last blog post, you recall I discussed the different types of planners and how they are paid. Today, I will tell you why I am a firm believer in fee-only financial planning. Fee-only financial planning is a wonderful way for clients to receive advice in a fiduciary manner. As a fiduciary, the planner puts the clients’ interest first. Fee-only planners receive their pay directly from the client, which virtually eliminates conflicts of interest. As a fee-only planner, I don’t sell anything, except maybe a good night’s sleep. I don’t receive any commissions, referral fees, or kickbacks, so, therefore, I don’t have a conflict with the advice I give to my clients. What I recommend to my clients is in their best interest….not mine. Another wonderful aspect of fee-only planning is the ability to practice from a holistic viewpoint. This is my favorite part of my job. 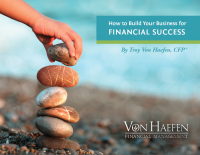 Financial planning is a process…not an event. Life changes, therefore I love having the flexibility to assist my clients as their lives change. It’s not about one particular piece of the planning puzzle: it’s about the entire puzzle and maximizing every piece. As a fee- only planner, my fees don’t change whether I am discussing investments or insurance, estate planning or cash flow, business planning, or tax planning. It’s all part of the big picture. My business model allows me to serve my clients in a comprehensive fashion. With my simple retainer billing method, my clients pay me a fee, and I am their planner. I’m able to see the big picture and guide the client along life’s journey. This is why I am a fee-only planner, and I love my job. ← What is a Fee-Only Financial Advisor?